Enjoy the top 1 famous quotes, sayings and quotations by Susan Marg. No one likes to be typecast or stereotyped, especially actors. But who would know Esther Williams without a swimming pool, Bela Lugosi without a cape, or Elvis Presley without his guitar. Would we even care? Want to see more pictures of Susan Marg quotes? 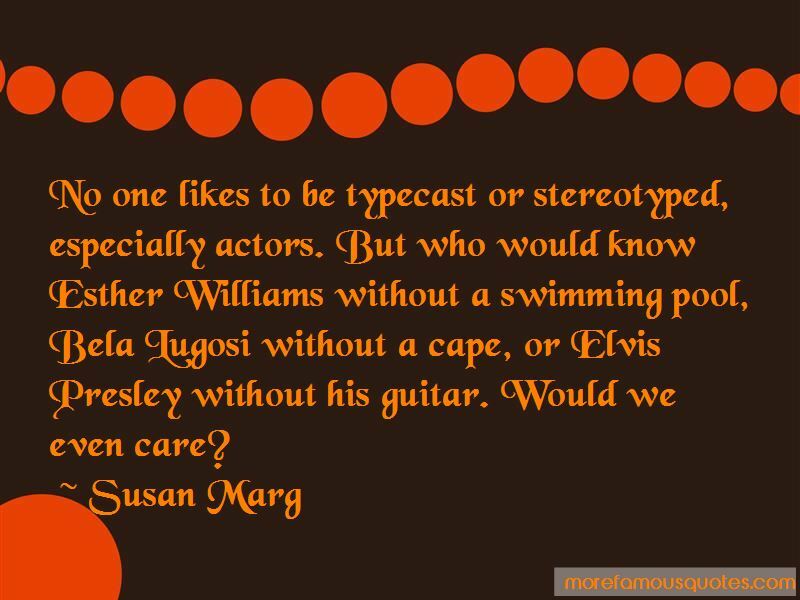 Click on image of Susan Marg quotes to view full size.